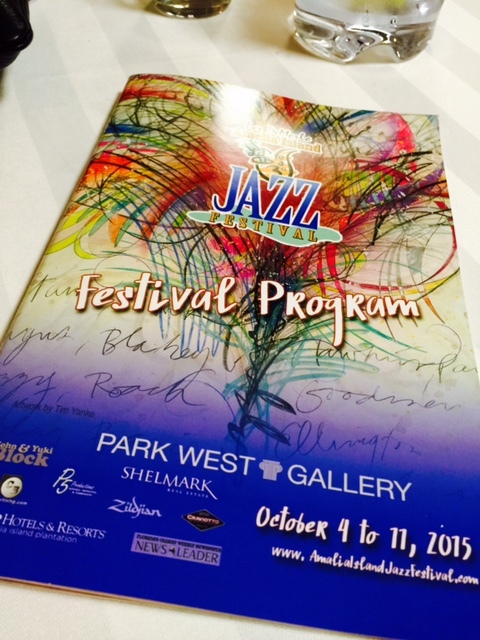 Park West Gallery has once again supported the effort to promote the arts during the 2015 Amelia Island Jazz Festival. The annual festival took place October 4-11 on Amelia Island in Florida. In addition to great musical performances, the festival raises funds for scholarships given to students pursuing a major or minor in music. Performances included a Swing Night Concert and Dance on October 7, a Latin Jazz night on October 8, jazz legend Larry Coryell on October 9 and standout jazz vocalist Kevin Mahogany on October 10. Park West’s involvement with the festival began with the 2013 season. 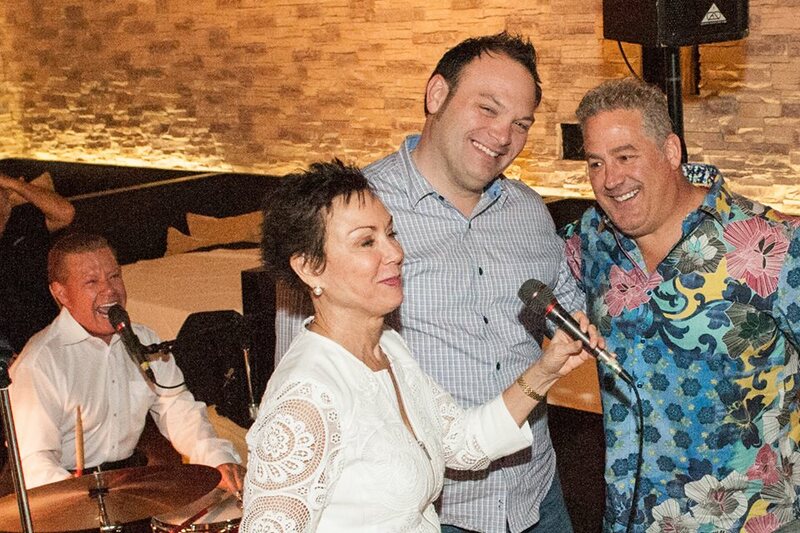 Each year, Park West helps host the “Big Band Bash and Auction” to raise money to support the festival and provide support to the festival’s board throughout the year. 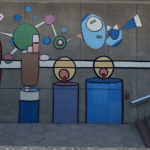 Park West Gallery artist Tim Yanke was chosen as the official artist for the 2015 season. The artwork he created for the festival, titled “Legends,” features a fountain of colors amidst the names of famous jazz artists. Yanke’s artwork appeared on easels around the performance areas, and was also featured on flyers, posters and T-shirts. 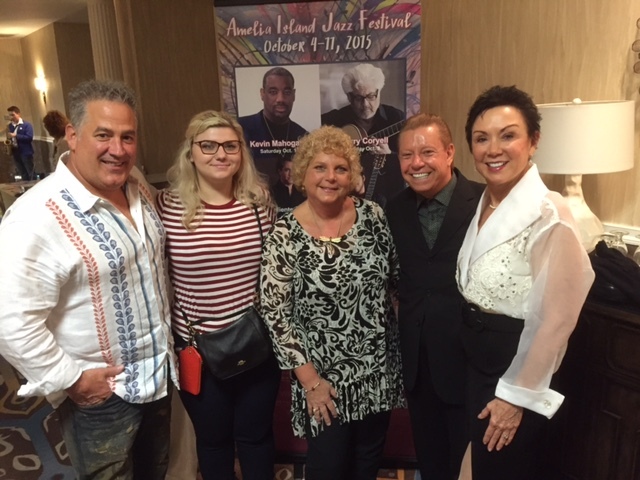 The festival wrapped up on October 11 with a Jazz Brunch at David’s Restaurant in Fernandina Beach, Florida. Alongside Yanke’s contributions, many of the auctioneers and staff from Park West joined in and personally supported the event financially, including: John and Yuki Block, Liezel Van Heerden and Travis Rizzo, William Roberts and Justine Covey, Martin and Roxana Botha, and Luke Proctor, just to name a few. 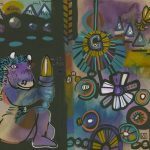 Block said more than 40 people bid on the silent auction, and were “over the moon” about Yanke’s art. He said several thousand dollars were raised for the festival, with funds still being tallied as of October 12. In 2014 the festival used the artwork of Park West artist Marcus Glenn, who served as the official artist. 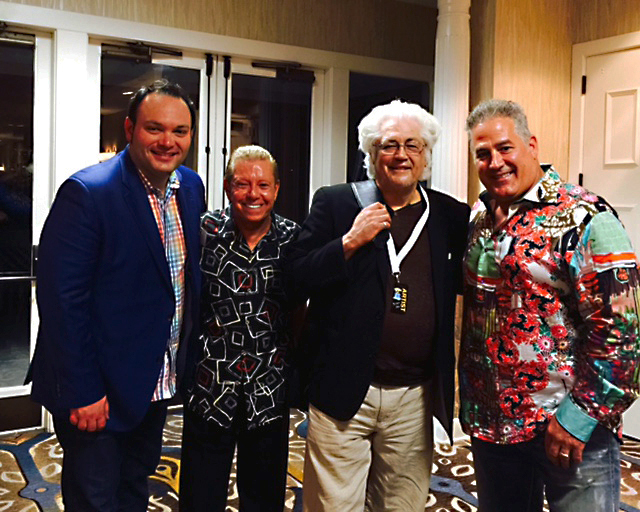 The Amelia Island Jazz Festival is a 501(c)(3) non-profit organization that uses the proceeds of its festival to provide scholarships to young musicians so that they may pursue music education. The organization also offers educational programs and jazz workshops in area schools and senior centers. 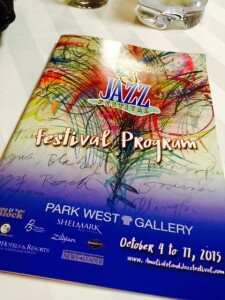 To join Park West Gallery and many of its auctioneers and staff in supporting of the Amelia Island Jazz Festival, please go to http://www.ameliaislandjazzfestival.com/become-an-aijf-sponsor.